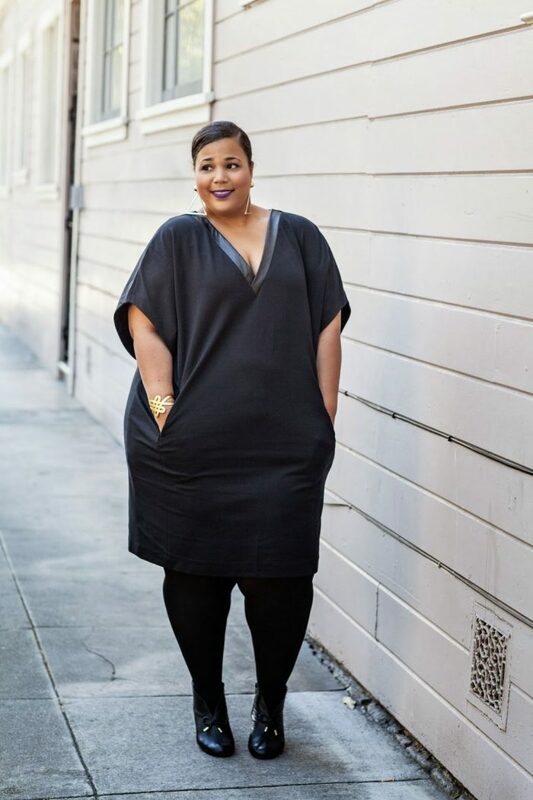 Let’s talk about black dresses for plus sized ladies. Today’s post is dedicated to my favorite black dresses that are made for women with overweight problems. Before we start looking through stunning black frock designs, I wanted to mention one very important thing: today’s fashion world is gone crazy. Why? It’s simply because we see skinny models on the runways, who are not normal. I mean look at them, most of these models have anorexic bodies. It’s very stupid to see beautiful and curvy ladies who are considered to be plus-sized. Anyway, I wanted to say that every lady is perfect, no matter if she is skinny or fat. The most important thing is to look at your best by wearing beautiful clothes that can underline all your best assets. Anyway, read on to find out more. Don’s forget to let me know your thoughts in the comments below.